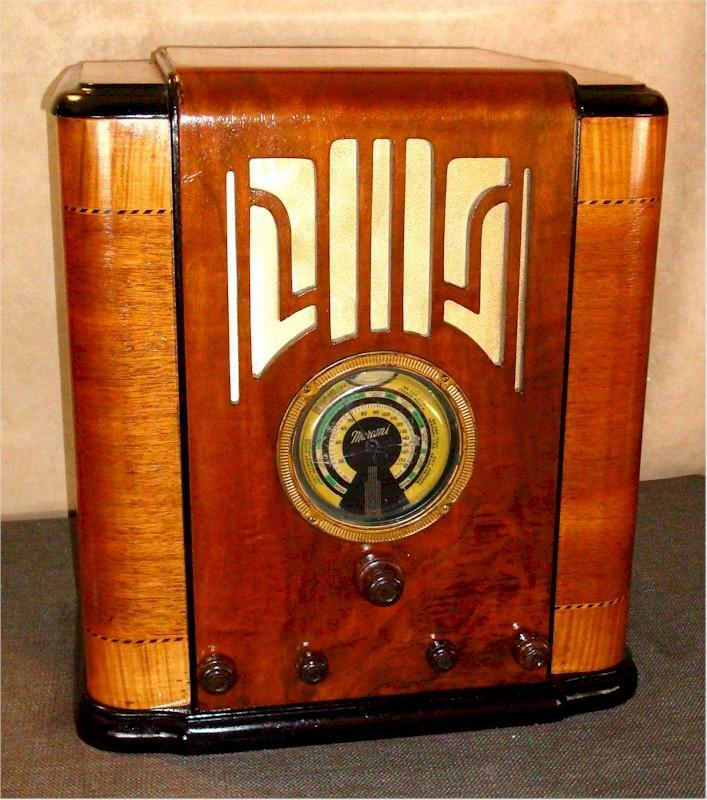 First looks and you can see what a substantial radio this is The radio is simply gorgeous, with a very fine veneered finish and a flourish of beading on the sides. The set is a premier radio from the very finest of Canadian makers. I have a fondness for these sets, as our Northern neighbors made terrific sets. You can see this was strictly first class ands a large tombstone in size. The sound quality and tone are special. The radio also has flywheel tuning and even an additional dial within the larger one. The dial is decent, but like all of these radios, required repair. I have included a special photo detailing this. You seldom get a chance to own such a premium set, and the condition along with the though restoration, makes this a worthy set to add to your collection. 19"H x 17"W x 12"D.
You are visitor number 3,881 to this page.